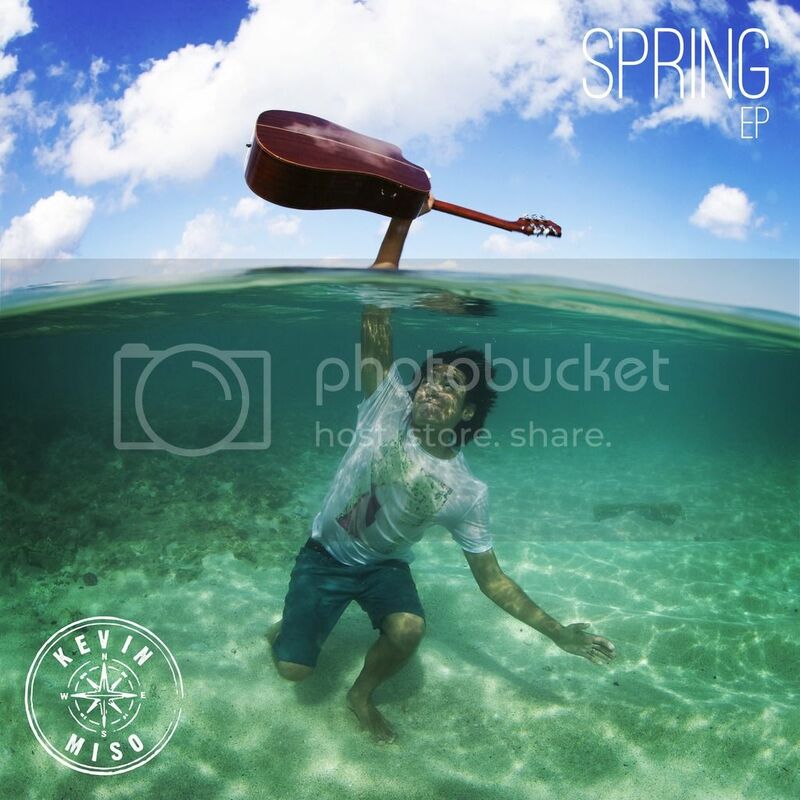 The Spring EP is here!! This is a reggae-inspired, groove-based collection of tunes here. This collection started it all. I had a few songs (Positive People and Slow Down) that seemed to exist in their own world. They weren't super uplifiting like 'Home' or 'Smile' in the past, they weren't heavy dependent on reggae like 'Rise Up' or 'Harder' but they had an heir of clarity about them that I really dug. They were some my favorites to date that I had done. We tracked drums for Positive People at The Record Plant. Jaydon Bean, Bucher and I spent a day there doing a bunch of tunes. Months later Kenny Passarelli (Joe Walsh, Elton John, Steven Stills) took a listen to the tracks. He loved them, Positive People was a standout. He let me basically take the reigns and we vibed out on some overdubs at House of Blues. I then got with John Alagia (Dave Matthews Band, John Mayer, Jason Mraz) at The Village and we worked on some arrangement stuff. He played the B3 organ in the bridge. After that I had some friends play a bit on it (Steve Aguilar threw on some organ and the Hollywood Horns did some bridge and outro jams). I sent it to Neal Pogue (Outkast, Citizen Cope) for mixing. We had met years ago and I always wanted to collabo with him. He's did one of Donavon Frankenreiter's records which was how we met. I knew he'd kill it one this one. I hope you enjoy what came about of it!! Slow Down is actually a live take. Nik Hughes on drums, Mike Bucher on bass, Steve Aguilar on wurly. This is the 2nd day of the original sessions where we recorded Zombie and a few other tunes I'll be releasing later this year. I wanted to track this song. I yelled out the chords, and we basically just did one 15 or so minute take. This is the last 2 minutes or so. No overdubs, tricks, nothing. Just live. We listened to playbacks, but when came on, everyone just smiled. Move Slow as actually kind of an afterthought jam in a session at House of Blues where we primarily worked on other songs. Another one of those listen back things. I basically drove to a gig I remember a few days later and was listening to roughs of the sessions. No mix and really just vocal adlibs, I thought it was pretty much done. I did a few overdubs at The Shed, and kept the original adlib lyrics with a few tweaks here and there. Mixers Wally and Xandy kept pushing this as the single. I think it just may be! Musical Mercenaries is a song I was never going to actually record. In fact, I demo'd it at home as I was writing it. I was doing this Police thing on the guitar and riffing off of the Bruno Mars track Locked out of Heaven with the stabs. Originally I heard a song by the band Magic! that made me think fo the Bruno track. On a long drive back from a show I played in Phoenix I came up with this concept of how the industry is freaking out. People suing people to make money. Copycats being called out. I felt like deep down in every artist, we're just trying to say something. I think that message sometimes gets thwarted by ulterior motivations (competition, money, social pressure, etc). Musical Mercenaries is sort of my take on all of that. Anyways so I demo'd it and when I played a bunch of songs for my publisher Don Williams (Bob Marley, Tom Petty, Jimi Hendrix), he thought it was a standout. "It has a groove guys, it's all about the groove!" He insisted we cut it the next week. We did at the House of Blues with Jaydon Bean on drums and Josh Nyback on bass. They killed it, I was pretty stoked. I felt like I had to put it out after that. So here it is!! All in all this started with reggae rhythms. I look at Move Slow as my island reggae song, Positive People as my more streetbeat, heady song, Musical Mercenaries is stretched to the 70's/80's rock/reggae stuff, and Slow Down is almost a jazz approach to the reggae expanse. At least that's my story and I'm sticking to it! !